The XIIIth edition of the Malta Mediterranean Literature Festival organized by Inizjamed will be held on Thursday 23th, Friday 24th and Saturday 25th August 2018, at Forti Manoel in Manoel Island, at 8.00pm. Entrance to all events is free. This year’s edition will also include two poetry film screenings. Clare Azzopardi and Ken Scicluna are working on a poetry film which presents Achille Mizzi’s work “Kafè”, while Abigail Mallia and Carlos Debattista are producing a poetry film of Oliver Friggieri’s work “Il-Lejl f’Dan l-Istazzjon”. This project is being run in collaboration with the Valletta 2018 Foundation. Robert Farrugia will be a guest musician together with a resident band. Today, Wednesday 22nd August, a pre-festival event starting at 8.00pm is being held featuring the invited authors, festival organisers and publishers. Two other pre-festival events are being held at Fort St Elmo on Friday 24th and Saturday 25th. Both start at 7.00pm. Publishers and festival organisers Mohamd El-Baaly, Neeta Gupta and Anne-Lise Dyck-Daure will be present. 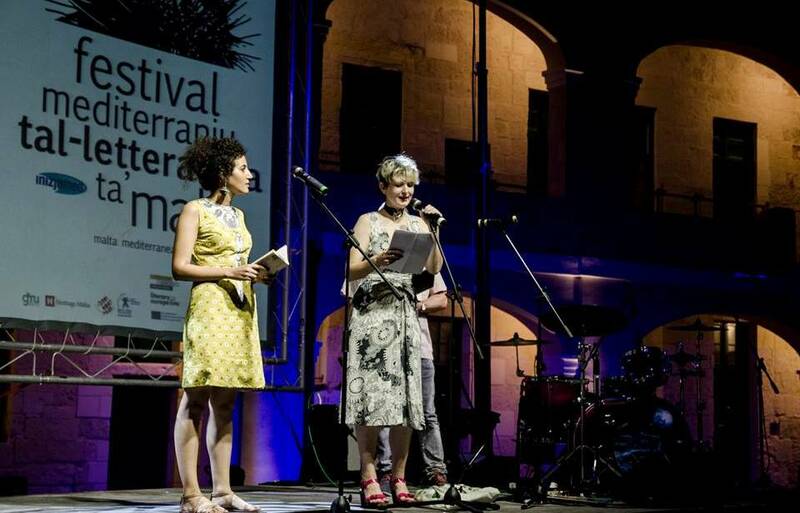 In the weeks leading up to the Festival, other literary events involving the invited Maltese writers were held, including an Open Mic session, an event with Philip Sciberras at the San Vinċenz de Paul Residence and a summer school visit. The Festival logo and other promotional material were designed by artist Pierre Portelli. More information is available on Facebook on pages of Inizjamed Malta and the Malta Mediterranean Literature Festival 2018 and at inizjamedmalta.wordpress.com.